Graduated from Tchaikovsky Moscow State Conservatory as a pianist, organist and symphony orchestra conductor (M.A.). Post-graduate studies of symphony orchestra conducting with Prof. Gennady Rozhdestvensky. Laureate of the International Art Festival The April Spring in Pyongyang (gold medal, 2004; grand prix, 2006). Conductor of the Bolshoi Theater (2001–2003). Chief Conductor of the State Opera and Ballet Theater of Russia’s Republic of Mari El (2002–2003). Art Director and Chief Conductor of the Moscow Conservatory’s Chamber Orchestra (2002–2007). 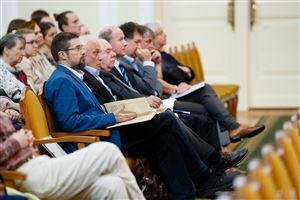 Art Director of Nikolay Golovanov’s Memorial Flat and Department Head at the Mikhail Glinka All-Russian Association of Music Culture Museums (2012–2016). Taught the musical theater class at the Moscow Conservatory’s Division for Opera Performance (2007–2015). 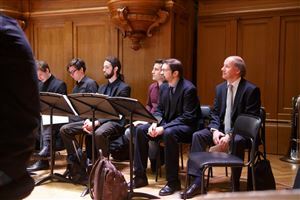 Teaches at the Division for Opera and Symphony Orchestra Conducting (since 2002); also teaches at the Division for Chamber Ensemble and String Quartet, as well as at the Division for the Art of Accompaniment. Supervisor of the students’ rehearsals with various groups of chamber orchestras (since 2016). 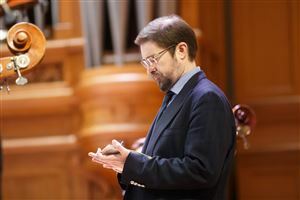 Supervisor of the students conducting the Moscow Conservatory’s Symphony Orchestra and Opera Theater (since 2017). 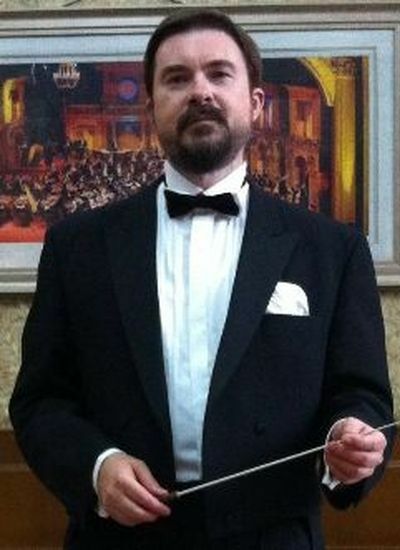 Conductor at various opera theaters in Italy, France, Russia and Ukraine, as well as at various concert halls in Spain, Finland, Mexico, China, North and South Koreas. Concert tours over Germany, Greece, Finland, Poland, Latvia and the United Kingdom. Participant of scholarly conferences. Author of articles and music for documentary films.